Benue State Governor Samuel Ortom has suspended execution of projects and declared a state of emergency on payment of salary. He said the state did not mismanage bailout funds and London-Paris Club refunds. He said as a leader, he was greatly pained that his workers were owed salary arrears . 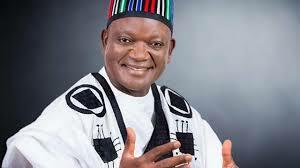 Ortom, who spoke yesterday in Abuja, said one of the reasons for the difficulties facing his administration was the huge wage bill he inherited from the immediate past government. He said the upward review of workers’ salaries by his predecessor contributed hugely to the fund challenge facing the Civil Service State. He said efforts were being intensified to address the salary challenge as soon as possible. Ortom said: “Ideally, wage bill should not take more than 30 per cent of your allocation, but today, you pay more than 100 per cent because you often forced to borrow. We applied 80 per cent of the last Paris club refund despite the fact that the President said we should apply at least 50 per cent. But because of our peculiar challenge, we did 80 per cent yet it was not enough. “Because of this, all my projects are suspended. We have declared a state of emergency on payment of salary by making it a priority. Ortom said although he accepted responsibility as a leader, he would do everything to clear the salary arrears. He added: “It is painful but this is something I am responsible for but as a leader, I take responsibility because I am the governor today but I’m looking for everything possible under the sun to surmount this. This is because the economy of my state is being driven by the civil service. “So, when salary is not paid, an average person in Benue state is affected and that is why we are open to suggestions from everyone on how to surmount the challenge. I say this because when I came in, I inherited N69b arrears in salaries, pensions and gratuities. “The Federal government did intervene by giving us a loan, which is the bailout fund of N28b, we appropriated it very well and because of the screening approach we adopted, out of N12.5b that was allocated to the state service, we are able to save N1.6b which we injected back in to the treasury. The governor denied misappropriation of bailout funds and London-Paris Club refunds. He said: “When I hear people complaining that we misappropriate our bailout fund, I say they are not fair to me. Whoever is interested should go to our books and check, we are transparent and anti-corruption agencies are free to come and check our accounts. “I challenge anyone who doubts us to go to our books and we are ready to make it available. No single kobo was diverted from the bailout fund. We are accountable. “Why I am having arrears of six months at state level and nine months at local government is because of the shortfall. When I came in, I inherited a wage bill of N8.2b, this excluded teacher’s minimum wage. “When we came in, we decided that teachers should not be on a different salary different from other civil servants, so we decided that they too should be paid minimum wage, so the wage bill went to N8.5b. “Meanwhile what we have been getting from state level from Federation Account on wage bill is about N6b, that means a shortfall of over N1.8b monthly and this made us to adopt a different approach where biometrics of workers were captured which led us to a modified table payment method. “This has led us to cite ghost workers, and other leakages and this has led to a reduction of the wage bill to N7.8b . All these past years, we were paying salaries amounting to N8.5b with allocation of N6b and shortfall of N1.8b every month. “That is where we are now, but government must continue to run, there are security issues, apparatus of government must continue to run, natural disasters, like the flooding that just occurred that must be taken care of and so on. The fact that people are bringing support is not in doubt but there are some certain things government must do and critical things that must be undertaken. He said: “When the report of the diversion of relief material got to me, we immediately directed the removal of the Camp Commandant of the State Emergency Management Agency (SEMA) at the International Market. He is currently under investigation. “I foresaw this and what I did was to set up a high-powered committee headed by the deputy governor and as soon as the report got to us, we decided that he should be relieved and replaced.